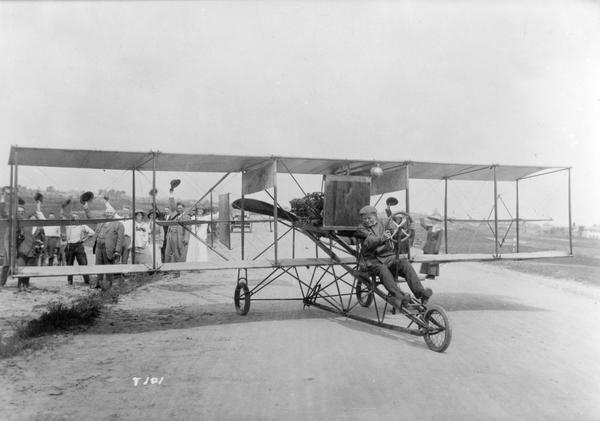 To the accompaniment of a cheering crowd, a pilot in a Curtiss pusher prepares to take off. Although unidentified in John Kaminski's scrapbook, the aviator in this photograph is thought to be Horace Kearney who disappeared during an over-the-ocean flight on December 14, 1912. He appeared at least twice in Wisconsin during the 1912 exhibition season.